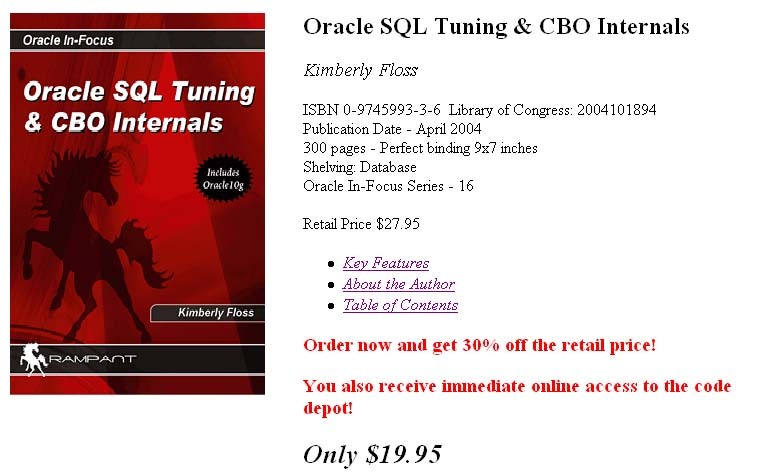 The author, Kimberly Floss, has compiled a vast resource book on Oracle SQL tuning, CBO internals and high performance tuning. 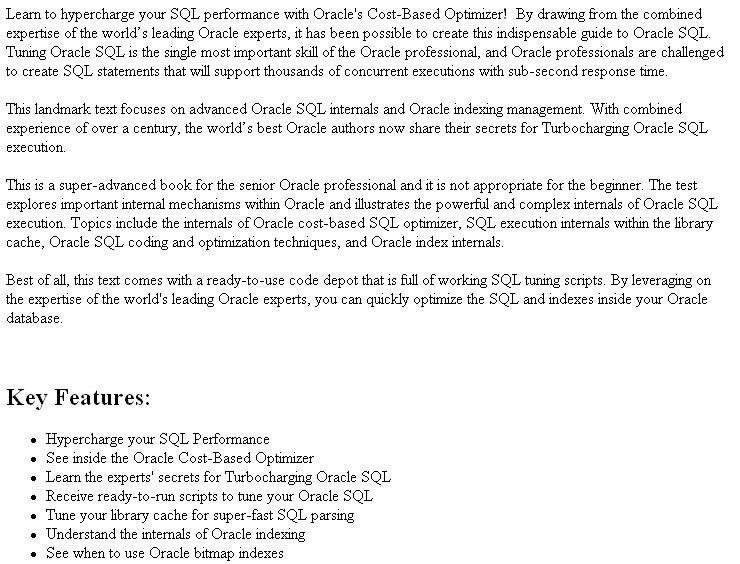 If Oracle SQL tuning is your thing, don't miss this book. An advanced book featuring everything from Oracle SQL tuning to the internals of the cost based optimizer, this Oracle SQL tuning book is sure to be an invaluable resource.